The main aim of Open Informatics is to provide students with high quality, comparable with the world of education in computer science. This is due to their close links to the latest findings in technology to leading experts and reputation of individual workplaces. Teaching focuses on areas where CTU achieved internationally recognized results: artificial intelligence, computer vision and graphics, HCI and mobile systems. 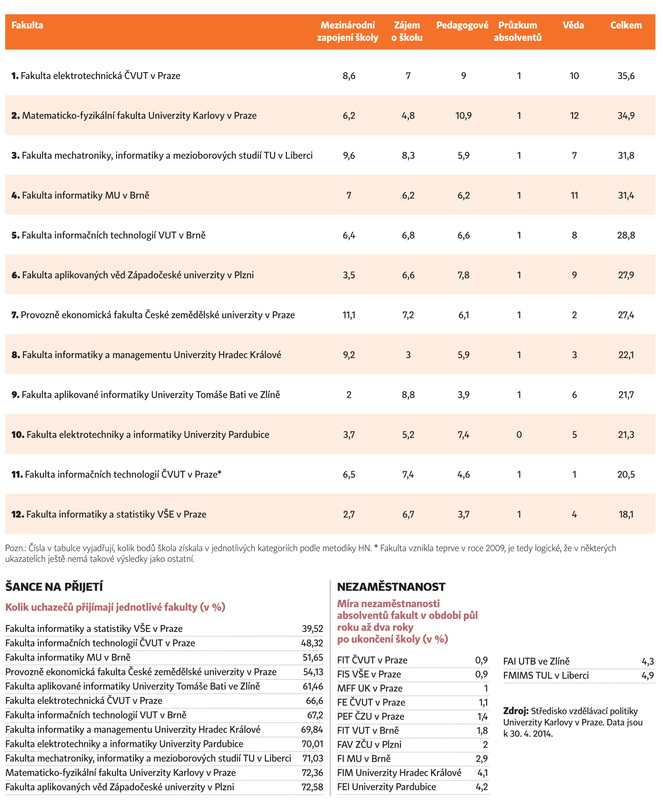 The rating scale informatics faculties in the Czech Republic according to Hospodarske noviny ranked CTU thanks to the foreign experience of teachers and the number of doctoral students in the first place!